Designed in a contemporary California Mission style, Briercrest of La Mesa features many amenities including an exercise pool and gym, theater and beautifully landscaped courtyards. 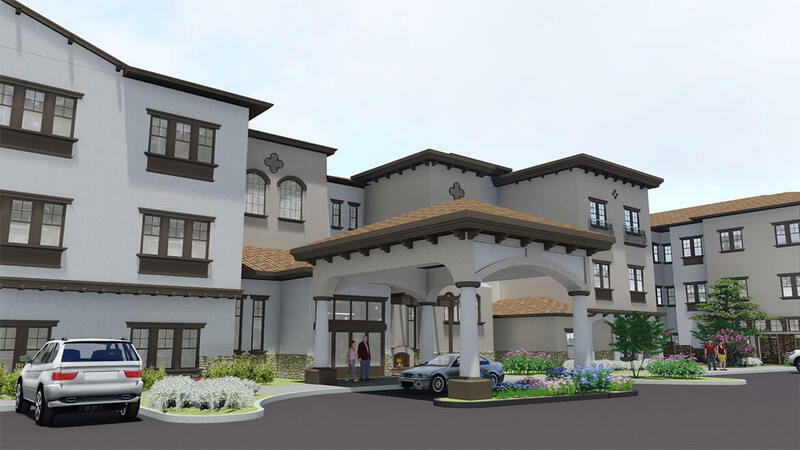 Located on approximately 3.33 acres, this three-story, 133,071 SF, 137 Assisted Living and Memory Care suite community is set for completion in the winter of 2018. The primary exterior elements consist of stucco, stone, and a Spanish tile roof. Stucco colors are earth toned around the building to break up the mass. The roof is a darker reddish-brown tile. The stone is a light tan stone blend with dark brown wood trim for contrast. Unique to the project is the shared parking and direct pedestrian connections from the facility to the adjacent park. Direct connections to the park will encourage healthy, active lifestyles for its residents. 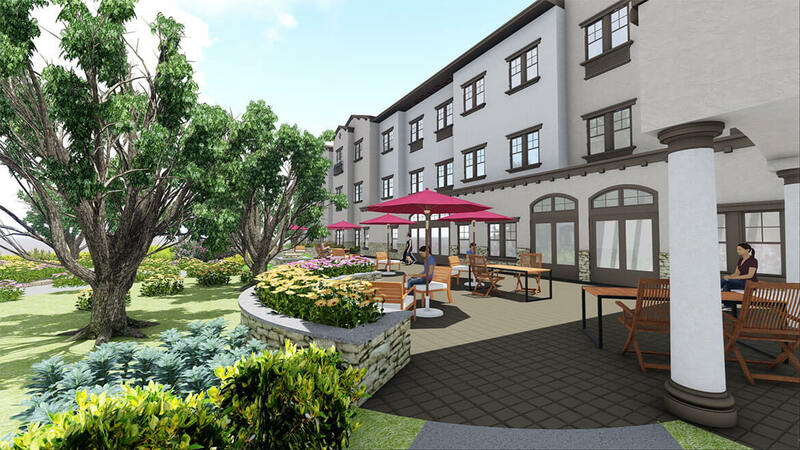 Additionally, this provides a sense that the community is welcome to enjoy the grounds of the Briercrest of La Mesa in connection with park use and encourages overall outdoor recreation and health benefits.